Tongue-in-cheek reflections on life experiences and lifestyles. Ottawa author welcomes web wanderers to follow her blog and eventually read her novel. So, I've been following Once Upon A Time on CTV the past few weeks. I am enjoying the fairy tale references and how the characters are thrown into present day life without a clue of who they really are. Poor Snow White / Miss Blanchard. At the urging of young Henry, she sat at the side of John Doe's hospital bed to read from the special story book. She witnessed him stir back into consciousness. Then a few hours later, he goes missing. I like how Emma and Snow play the part of the heroines, rescuing Prince Charming from the wilderness after he wakes and wanders off from the hospital. Then, of course once returned, some beautiful blonde woman shows up to visit him and reveals that she is his wife. Damn! What timing and suspiciously seems to have been arranged by the evil queen / Mayor Regina Mills. The mixed-up show makes for an entertaining distraction from a lonely existence. Recently, a sweet person comforted me due to doubts about finding a man whom I could trust in a relationship again. Throughout the conversation, he assured me that I was smart, attractive and a strong Canadian woman. That rang nicely to my ears. Strong Canadian Woman. I like to think that I have become stronger over the years after keeping demons at bay while supporting my family, working full time and volunteering. There are times when I wonder what ever happened to my prince charming, the ideal husband. Well, in the darkest of times, it's hard to believe that those even exist. It's even more challenging as we enter the long, Canadian winter. Until Prince Charming wakes up or comes riding in on his white charger, I will be my own hero and evolve even more into a Strong Canadian Woman. Merci, tres gentil monsieur. 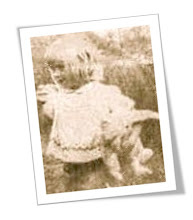 If you want to meet a heroine in the making, come read about Sera Fletcher in my novel The Year of the Rabbit. 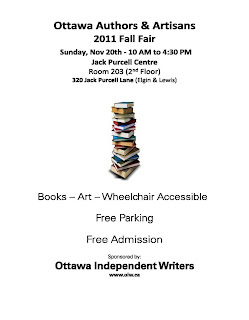 The nice people at Ottawa Independent Writers will once again raise funds at their book fair for the Children's Hospital of Eastern Ontario. A raffle for a basket of books donated by The Dundurn Group will take place with all proceeds donated to CHEO. In past years the raffle has raised between $200 and $300 for CHEO. 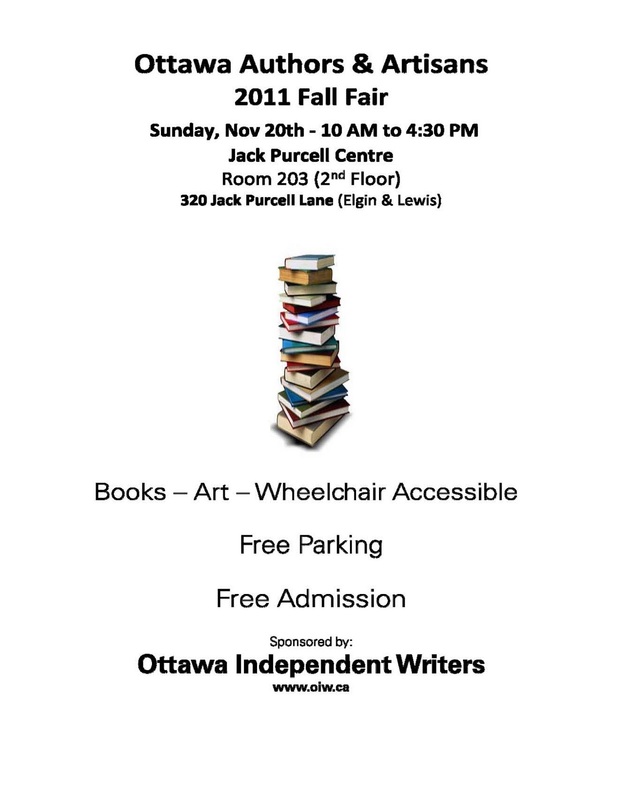 You are invited to drop by the Ottawa Authors & Artisans Fair 2011 to purchase raffle tickets and browse the tables of local talent. Time: 10 a.m. - 5 p.m. 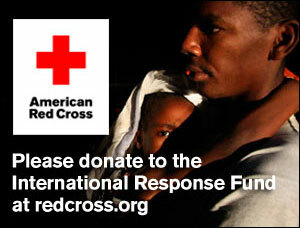 Sorry, they won't be selling raffle tickets prior to the event. They want people coming down to the fair in person to buy them and... to visit the authors and artists at their tables. 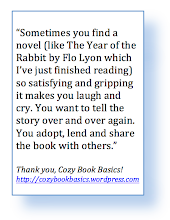 Our gal Florence T Lyon will be there, promoting the Ebook version of her novel "The Year of the Rabbit". Do drop by to pick up some info and a coupon code that will save you money on a gift purchase - until December 24, 2011.